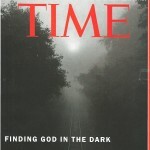 It is not often that a theologian’s book finds itself on the cover of TIME magazine, which is noteworthy in itself. But, then again, Barbara Brown Taylor is not your ordinary Episcopal Priest. Taylor is often said to be one of the greatest preachers today and a recent issue of TIME listed her among the 100 most influential people in America for 2014. The title for Taylor’s book is actually entitled, “Learning to Walk in the Dark.” I am two-thirds through the book and have loved it. She is one of the most transparent writers I know and is willing to say what she believes to be true, no matter whom she may offend. I first heard Barbara preach a series of talks at an Easter-week conference on Anglicism in Colorado Springs, Co. As I recall, she had just left serving as pastor at a church in New York City and spoke from her heart with stunning transparency. Next, I heard her speak in Houston and she scolded the rector when he introduced her as being “Orthodox.” Taylor said she refused to be labeled and I silently applauded. A chapel with walls covered in black paintings. What could be a better site for Barbara Brown Taylor to share her initiate thoughts on “Learning to Walk in the Dark?” Taylor’s book is a great read. She speaks from her broad knowledge of the Christian faith tradition and quotes freely from Jewish, Sufi, Buddhist and Hindu leaders and the sacred writings of all faiths. She reminds the reader that many spiritual leaders had their primary encounter with the divine in dark places, in caves. She tells how when she was attending seminary she made money serving as a cocktail waitress in an Underground bar of Atlanta, Georgia. She describes the experience of serving patrons in the Underground at night and attending seminary classes in the day. She says that both provided the education she needed to minister to people in every situation in life as a priest. Taylor says we are hindered by the “brilliance” of daylight and it may be we will truly “see” best in the dark with our eyes closed. Elizabeth Dias, author of the TIME article, put it this way: “Beyond enlightenment, acclaimed preacher Barbara Brown Taylor argues that strength, purpose and true faith are found in the shadows.” And, after reading Taylor’s book, I have to agree. I need to look for a cave. Then again, sitting in Rothko Chapel might do just as well.